Harrowing tales from D.C. after the Government Shutdown, collected by Brett T.
Tyler Cowan‘s evil twin Tyrone thinks that Republicans didn’t do so badly as the popular narrative maintains. Tyrone: I read what a strategic disaster the fracas has been for the Republican Party and for the Tea Party movement in particular, but I don’t see it. Where I grew up, this counts as a successful stare-down. 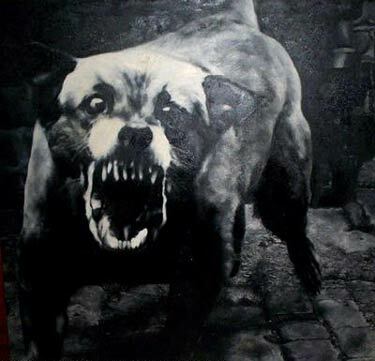 Most of the time, the pit bull does not in fact lunge for your throat, but it is hardly a mistake for him to snarl, even if that raises his borrowing rates. Look where we stand. In real terms government spending has been falling. Sequestration appears to be permanent, or it will be negotiated away by Republicans in return for preferred changes in tax and spending policy. Leading Democratic intellectuals are talking about future fiscal bargains with no new taxes. The American public polls as increasingly conservative. With this sequence of events, combined with 2011, the Republicans convinced some of their opponents that they are crazy and irresponsible, without actually being crazy (though they were irresponsible, but that is the whole point). I peaked once into Tyler’s Twitter feed, and I found several accomplished Democratic economists — yes brilliant economists, as all economists are — suggesting that any day now markets are going to notice the truly crazy character of the Republican House and price that into interest rates and stocks. Oh what a tale! (A more accurate reading of the more radical Republicans would in fact be more cynical and ordinary than most of the pablum served up by their critics.) Imagine that you control only the House and can manage to convince your opponents that you are stronger and more dedicated to your cause than in fact you are. Only the truly strong and dedicated can pull such a caper off! Someday, if the Democrats wanted to raise the exemption level for the payroll tax, and pull in a lot of new revenue, what kind of opposition could they expect? Probably they will shy away from that battle altogether, for fear of another Ted Cruz filibuster. 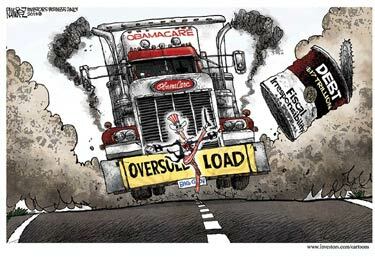 Even if most Americans do not agree, it is now considered common to believe and to argue publicly that Obamacare represents the end of freedom in our time. If Obamacare turns out to fail in the eyes of the public, that condemnatory view is being held in the back of people’s minds, whether they admit it or not, whether they agree or not. They will start to agree more and more, the less generous their Medicare benefits look as time passes. The future counterrevolution in redistribution is going to have to come from somewhere and it is a major victory to cement the word “Obamacare” as a hypostatized “thingie” in people’s minds, for future reference. The Republican tactics understand the importance of skewed pay-offs. In an age of political gridlock, the goal is not to maximize the expected value of your image, any more than you would do the same on a date. Rather the goal is to maximize the chances of moving your agenda forward, conditional on the existence of world-states where that might be possible. The harder it is to pull off change, the stupider your strategy will look in most world-states, but hey that is the price of admission to this game. Capital is to be periodically run down, and if in politics, as in management more generally, if you always look good you are doing something badly wrong. Another fallacy is that no DC crisis would have focused more attention on the failings of the Obamacare exchanges in a useful manner. People, that is small potatoes. No one is going to repeal or even modify ACA because of a few weeks’ bad publicity at the opening. (Recall the Medicare prescription drug bill, which took weeks to get off the ground but now is beloved and is part of the permanent furniture of the universe, like Supersymmetry or quantum gravity.) If Obamacare is really going to do poorly, it is better if we build up high or least modest expectations for it. Imagine the Christmas present of learning you don’t really have insurance coverage after all. Or the New Year’s resolution that after you have been billed three times for the same policy, you vow to pay for only one of them and live with the bad credit rating until it gets straightened out. How about extreme adverse selection into the exchanges, resulting in 50-100% premium hikes in the first year of operations? (The lower premia are now, the better! Bread, peace, land! Ach du grüne Neune!) That’s what will get further traction for the Tea Party on Obamacare, not a bunch of bad reviews on opening day, as if the policy were no more than a mid-tier Jennifer Aniston movie (I can no longer refer to Sandra Bullock in this context), to be swatted down by mild tut-tuts of disapproval and inconvenience. The very best victories are often described as ignominious retreats. Jeffrey T. Kuhner observes that the left may be celebrating now, but reality is on the side of the Tea Party. This is myth and propaganda masquerading as analysis. The legislative deal simply does one thing: kick the can down the road. Yet the same, enduring problems remain — the very problems identified by Mr. Cruz and Tea Party Republicans. America is sitting on a ticking debt bomb, Obamacare — the most destructive law in modern memory — is a disaster, and our ruling elites are incapable of reining in out-of-control public spending. America is increasingly dominated by one seminal reality: We are the most indebted nation in history. The national debt is approaching $17 trillion. By 2016, the debt is expected to hit $20 trillion. That will be Greece-like levels, a debt load so crippling that Washington will have trouble simply paying the interest on the debt payments. Our creditors will realize we are sliding toward the United States of Argentina — a fiscal basket case unable to live within our means. The value of the dollar will plunge. Interest rates will soar. Taxes will have to be increased. The social safety net will be shredded. Unless Congress immediately confronts the reckless spending and near-record trillion-dollar deficits, the United States will go bankrupt. The question is no longer if, but when. Mr. Obama’s massive health care overhaul is precipitating the impending economic collapse. Nearly every aspect of Obamacare has turned out to be a lie. The real price tag is not less than a $1 trillion; rather, it is a multitrillion-dollar entitlement program that America cannot afford. Rather than lowering premium costs for the average family, it dramatically raises them — sometimes by thousands of dollars a year. Millions of citizens have lost their health benefits or are unable to keep their doctor. People seeking to enroll in Obamacare’s marketplace exchanges are stunned at the high costs of the health insurance plans. In fact, the Congressional Budget Office acknowledges that the law will not achieve its stated goal: universal coverage. Instead, about 30 million Americans will still not have health care. Hence, one-sixth of the U.S. economy will have been revolutionized essentially to put only 17 million new recipients on the Obamacare rolls. The complex law also undermines economic growth and job creation, compelling employers to either slash employees’ hours or not hire new workers. In short, Obamacare is a cancer, slowly devouring our economic dynamism, individual liberties and medical care. 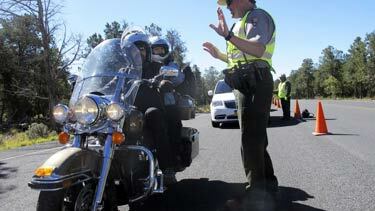 As the law is implemented, its devastating effects will be increasingly felt. By next year, the government shutdown will be a fading memory. What the public will remember, though, is that a band of Tea Party patriots sought to thwart the oncoming disaster. Mr. Cruz, along with Sens. Rand Paul of Kentucky and Mike Lee of Utah, represent the future. The question is no longer ideological — small government versus big government, free-market-based health care versus nationalized health care, or capitalism versus socialism. Rather, it is about something more simple — and profound: basic arithmetic. The United States is a giant bus that is rushing toward an economic precipice. A few more years of Mr. Obama’s borrow-and-spend policies and America will crash upon the rocks of fiscal reality and national insolvency. The Democrats are keeping their foot on the gas pedal, full speed ahead. The Republican establishment thinks we may need to slow down — at least a little. The bus, however, will still go off the cliff. 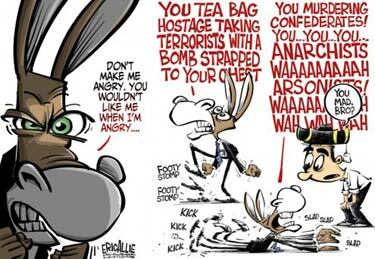 Only the Tea Party is saying — in fact, yelling — to hit the brakes. They’re right, and they will be vindicated. The only question is this: Will Americans wake up before it’s too late? C.J. Box, at Ricochet, has some unkind words about the recent behavior and long-term militarization of the National Park Service. Maybe we should be thinking about privatizing those parks. The Walt Disney Company wouldn’t let itself be used as a tool for politics and doesn’t stockpile assault rifles to be used on its customers. No one at that time could imagine a scenario in the future where employees of that agency — on behalf of the federal government — would be engaged in acts of strong-armed intimidation of innocent visitors enjoying parks and monuments the public owns and pays for. 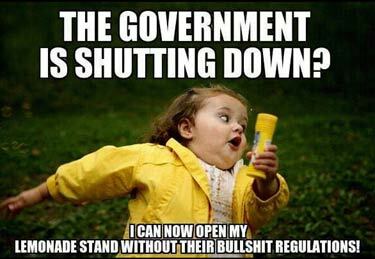 If you’ve been following the news since the faux government shutdown, you’ll know I’m not exaggerating. 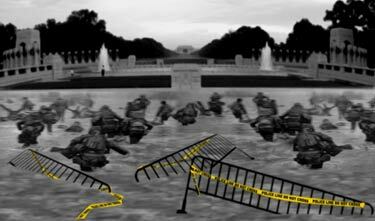 In addition to locking up open-air monuments like the World War II Memorial and threatening to arrest 80-year-old veterans, the NPS has spent extra staff time and money (during the aforementioned “shutdown”) putting up fences and barricades on public roadways in attempts to deny Americans the pleasure of even viewing national treasures like Mt. Rushmore, the Grand Tetons, and the Grand Canyon — from the road. There’s long been a sickness in the National Park Service. I once heard a ranger explain to a fellow bureaucrat in Yellowstone that the NPS could really run the place well “if there weren’t all these damned people in it.” Another time, while interviewing park law enforcement for research for a novel, I was told by the highest-ranking park cop that he thought of his rangers as a “small army” that “could hold their own.” This, while showing off his massive armory of automatic weapons, combat shotguns, and tactical SWAT gear. How did the NPS go from an agency charged with managing our national parks “For the Benefit and Enjoyment of the People” — to a para-military force that would do this? 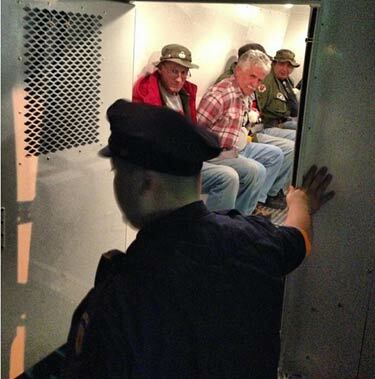 Vietnam Veterans arrested at NYC Memorial. Breitbart is keeping a list. This Administration is setting an all-time record for pettiness. 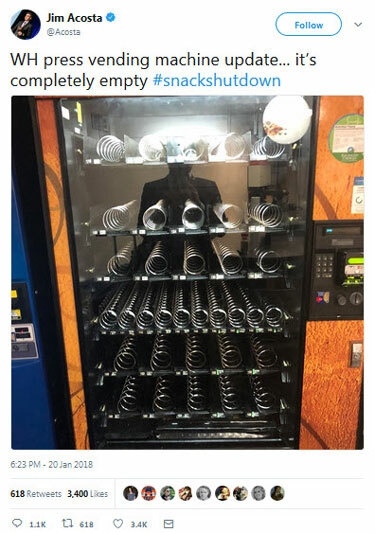 This week’s “shutdown” of government, for example, suffers (at least for those of us curious to see it reduced to Somali levels) from the awkward fact that the overwhelming majority of the government is not shut down at all. 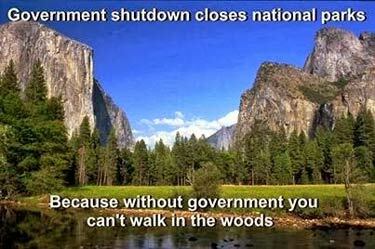 Indeed, much of it cannot be shut down. Which is the real problem facing America. “Mandatory spending” (Social Security, Medicare, et al.) is authorized in perpetuity — or, at any rate, until total societal collapse. If you throw in the interest payments on the debt, that means two-thirds of the federal budget is beyond the control of Congress’s so-called federal budget process. That’s why you’re reading government “shutdown” stories about the PandaCam at the Washington Zoo and the First Lady’s ghost-Tweeters being furloughed. Nevertheless, just because it’s a phony crisis doesn’t mean it can’t be made even phonier. The perfect symbol of the shutdown-simulacrum so far has been the World War II Memorial. This is an open-air facility on the National Mall — that’s to say, an area of grass with a monument at the center. By comparison with, say, the IRS, the National Parks Service is not usually one of the more controversial government agencies. 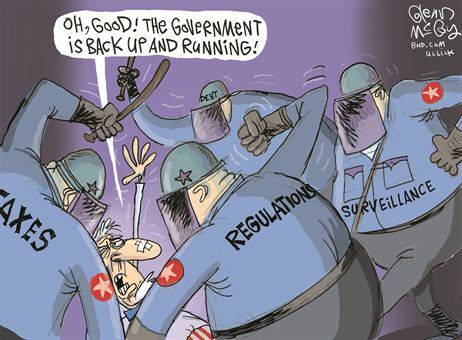 But, come “shutdown,” they’re reborn as the shock troops of the punitive bureaucracy. Thus, they decided to close down an unfenced open-air site — which oddly enough requires more personnel to shut than it would to keep it open. So the Parks Service dispatched their own vast army to the World War II Memorial to ring it with barricades and yellow “Police Line — Do Not Cross” tape strung out like the world’s longest “We Support Our Troops” ribbon. For good measure, they issued a warning that anybody crossing the yellow line would be liable to arrest — or presumably, in extreme circumstances, the same multi-bullet ventilation that that mentally ill woman from Connecticut wound up getting from the coppers. In a heartening sign that the American spirit is not entirely dead, at least among a small percentage of nonagenarians, a visiting party of veterans pushed through the barricades and went to honor their fallen comrades, mordantly noting for reporters that, after all, when they’d shown up on the beach at Normandy it too had not been officially open. Peter Ferrara, at Forbes, argues that democrats are already failing in their calculated efforts to exacerbate the government shutdown and pin the blame on Republicans. He thinks the Republicans have a pretty simple winning strategy available. When a reporter asked Harry Reid why the Senate would not pass a bill so children could continue to get their cancer treatments while the House-Senate budget battle dragged on, Reid responded, “Why would we do that?” and questioned the intelligence of the reporter. The obvious human answer was to save the lives of children. But Reid was not thinking about humanity. He was thinking about the political consequences of engineering a shutdown in further manipulation of the public against Republicans he is so certain the public will blame. In that context, his question made sense, including his disparagement of the reporter’s intelligence. Couldn’t she see the political value in denying health care to cancer stricken children, when the Republicans would be so obviously blamed for that? If Senate Democrats never get around to Conference Committee meetings on the appropriations bills, that would only reveal to everyone who is really responsible for the government shutdown after all. That would only mean that 800,000 nonessential federal employees out of 2.9 million would stay on furlough indefinitely. No harm to the public in that, and it would save a lot of money the government doesn’t have besides. Once House Republicans pass their appropriations bills, they can wait for Senate Democrats to show up to do their part as long as it takes. the Archives of Never Yet Melted in the 'Government Shutdown' Category.